Last updated: May 28, 2018 at 3:51pm by Savanah – A bill (HB 4926) to legalize online gambling (poker and casino games) was revised and reintroduced this month to the state legislature. Two internet gaming bills were introduced last year. HB 4926 was introduced on September 12, 2017 and on March 1, 2017 SB 203 was introduced. A week later SB 203 passed the Senate Regulatory Reform Committee (7-1 vote), but it did not receive a vote from the full House. The legislation includes a $100,000 application fee, $5 million license fee, and a 10% tax rate on the online gambling revenues. Legalized gambling began in many states with a state-run lottery, but by the early 1990’s many also had approved for-profit gambling enterprises such as casinos (several owned and operated by Indian tribes), riverboats, and video-lottery terminals (VLT’s) at bars and restaurants. When the Unlawful Internet Gambling Enforcement Act of 2006 (or UIGEA) passed nothing much changed other than adding more confusion. Established in 1972 by the P.A. 239, the Bureau of State Lottery governs the Michigan Lottery, which makes the rules governing the games and oversees the issuance of bingo, lottery, and charitable gaming licenses. The bureau is housed in the Michigan Department of Treasury. 50% of lottery revenue is used for prizes, and about 35 percent goes to the state School Aid Fund. The sales of lottery tickets online was passed and went live in November 2014. The state lottery generated total revenues of $2.8 billion in 2015, up 6.8% compared to the previous year. Horse racing is Michigan’s oldest form of legal gambling, established in 1933. Some reports show that Michigan’s current five horse race tracks had more than 2,000 days of live and simulcast racing, total attendance of over 1.2 million people, with roughly $350 million in wagering that generated more than $11 million in state revenue. On January 17, 2010 the Michigan Gaming Control Board (MGCB) officially assumed the duties of the Office of the Racing Commissioner (ORC). The Charitable Gaming Division of the lottery was created by the Bingo Act of 1972 and licenses non-profit organizations to sponsor bingo, casino nights, raffles, and millionaire parties as fundraisers. The division issues over 10,000 licenses annually to qualified organizations such as religious, veterans’, fraternal, education, senior citizen, service groups, and political committees. Native American tribes are sovereign nations. 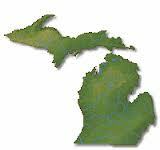 As such, the State of Michigan does not have general regulatory authority over Indian Casinos, although the State does have oversight authority over compliance with the State-Tribal Compact provisions. They are regulated by the National Indian Gaming Commission and the government of the appropriate tribal community. 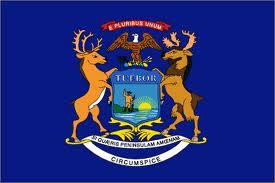 There are currently 22 Indian Casinos and 3 private casinos in the state of Michigan. 11 different Native American tribes cover the 22 Indian Casinos. In 2015, Detroit’s three casinos had an increase in revenue, $1.38 billion, compared to the previous year which did $1.33 billion. The Board serves Michigan citizens by licensing and regulating commercial casinos in Detroit, their suppliers and employees, overseeing Native American casinos in Michigan, and regulating pari-mutuel horse racing. The Michigan Gaming Control Board’s website mentions on April 11, 2012, Governor Snyder signed Executive Order 2012-4 resulting in more effective regulation of certain charitable games. This Executive Order transfers regulation of “millionaire parties” from the Michigan Bureau of State Lottery’s Charitable Gaming Division to the Executive Director of the Michigan Gaming Control Board. The state has been under scrutiny since its charity gaming revenues increased from $7.9 million in 2004 to $197 million in 2011. Regulation of other forms of charitable gaming such as bingo and raffles will remain with the Lottery. For the most up-to-date information and news on Michigan Gambling Laws, licenses, gaming associations, government officials, etc., we recommend visiting MichiganGaming.com. They post news articles on a regular basis with the latest stories in Michigan gaming. They have been around for over 18 years with a strong staff and contributors of lawyers and gaming analysts specializing in this field.